People have been loudly proclaiming that “email is dead” for years. It makes for a great click-baity headline but it couldn’t be further from the truth. In terms of return on investment, email marketing is the top digital marketing channel and numbers are actually showing an upward trend. Companies should invest more in email marketing to capitalize on this. To help you out, we’ve outlined 20 best practices that your email campaign needs to consider. 2) Do not use an inactive email address (such as noreply@…com), it’s impersonal: use an active email where customers can communicate with you if they choose. Think of every touchpoint as an opportunity to start a conversation. 3) Subject Line: Having the right subject line is an art that takes practice. It’s likely the top deciding factor on whether or not the recipient will even open the email. Optimize the first 40 characters as this is what’s typically shown on most email clients. Is it compelling? Does it answer “what’s in it for me?” Use A/B Split testing to determine the strength of your Subject Lines (we’ll dive deeper into this topic in a future blog post). 4) Pre-Header Text: You have less than 3 seconds to capture a reader’s attention and encourage them to open your email. 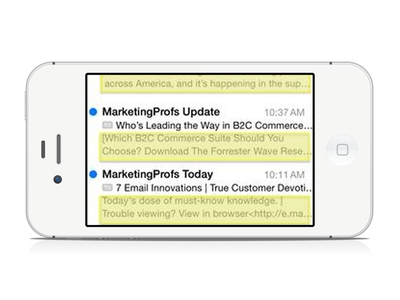 Using pre-header at the top of your email will allow more description above what you have provided for the subject line (yellow highlighted area in picture above). 7) Efficient Copy: Keep it short and easy to scan… it should be a teaser and subscribers can learn more information by being directed to a website, blog or landing page (with a prominent Call-To-Action). 8) Assume the reader will not enable images: Not everyone clicks the ‘Display all images’ so make sure your email still retains crucial information in the copy as well as using image ALT tags to carry the message if the images are turned off. 9) Mobile-First: Consider the fact that more than 53% view emails on their phones. Make sure your email campaign looks and feels the way you want it when people view it from their mobile devices. 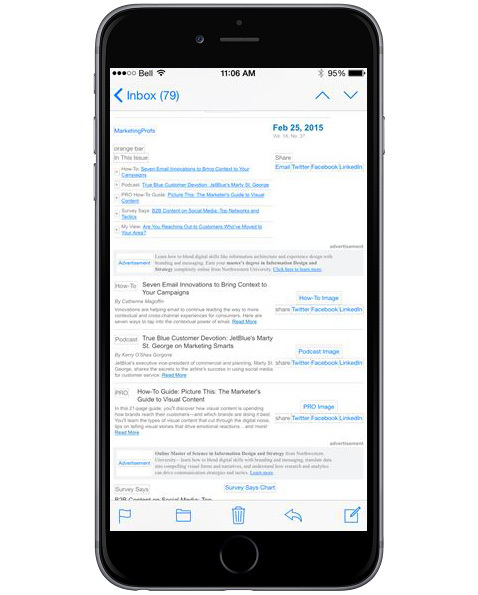 10) Standard Email design: Standard dictates to keep emails no wider than 600 pixels. This helps to ensure no horizontal scrolling on mobile devices and all email clients. 11) Standard Text: With the steady increase in mobile email viewing standard body text is now around 14px and titles at 22px. 12) CASL: With the Canadian Anti-Spam Legislation in effect, you would need to ensure your subscribers have given you expressed consent to be on your email list. There is implied consent if you have a working relationship with the recipient, but expressed consent is always best. 14) Email Tracking: Learning from previous campaigns is key to knowing what worked and what didn’t. We can’t stress enough the importance of reviewing and learning from your data. 15) KPI/Conversion: Track beyond the click! You can set up link tracking (such as Google Analytic UTM code) so you can better understand what people are doing on your website / landing page after they click through the email. 16) Unsubscribe: It’s a requirement to include a link to let people unsubscribe to your list. 17) Plain-text version: Include a plain-text version for stripped-down email clients. 19) “View in Browser”: This is a handy link that allows readers to pull up the email in their web browser. 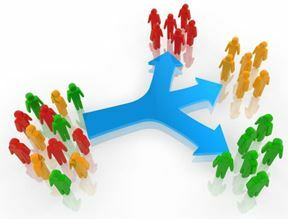 20) Social Sharing: Integrating social sharing is a great way to spread your content to even more impressions. Have a few more questions about email campaigns? Drop us a line so we can help your email campaigns be the strongest part of your marketing strategy. What Does Ad Blocking Mean to Advertisers?Big Google Change is Coming: Is Your Site Ready?